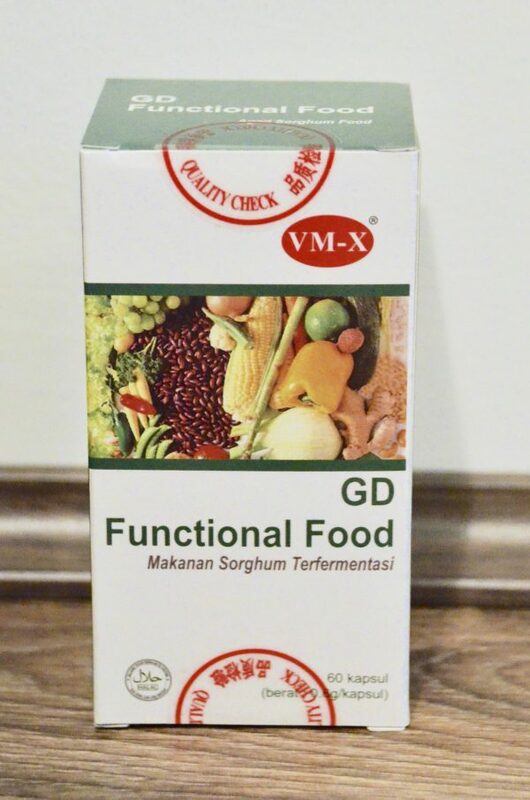 GD Functional Food (soft gel capsules) is a naturally fermented mixture of fruits, herbs and organic vegetables. It is allowed to ferment with 16 types of lactic acid bacteria especially the VM-X cultured human borne gut bacteria, Lactobacillus gasseri ATCC , for a total of 5 years. It has all its natural raw and unrefined nutrients intact in its pure form. As they are already pre-digested, all these nutrients can be easily absorbed into our system. VM-X is National Food Authority (Aust) approved & FDA (USA) approved. Note: This product is classified as a food. The preparation of VM-X involves the use of natural organic ingredients and a natural, no chemical fermentation process unlike any of the destructive synthetic methods used by industry. As a superior biotechnology producer VM-X Internation­al succeeded in concentrating the bioactivity and fermentation by-products from several different strains of friendly lactic acid bacteria, within a single VM-X capsule. This unique concentrated form of probiotic functional food harnesses the benefits of the traditional fermented foods. The primary stage is allowed to proceed in a natural clean environment for 2 to 3 years. At this early stage a significant number of natural lactic acid bacteria are involved in the initial processing and transformation of the ingredients. The secondary stage is carried out under a controlled scientific environment for 1 to 2 years and maintained by the action of a special blend of 16 strains of friendly lactic acid bacteria including the unique lactobacillus gasseri ATCC strain. The bacterial count is corrected to approximately 120 million I gram prior to encapsulation. The serving suggestion is one or two capsules per day, taken with water ½ hour before meals, Alternatively, VM-X capsules may be chewed. After a while you may feel like varying the serving suggestion, starting your consumption with one capsule a day increasing by one extra every three days for at least 2 weeks.